An Athenæum is a place for reading and learning, such as a library, a museum, or scientific academy. The term comes from the temple of the goddess Athene in ancient Athens, which was used for teaching. Building on this tradition, you are now visiting my online Mathenæum — a website devoted to mathematical exploration, learning, and fun! I have now published 4 articles in +plus magazine. My earlier article, Ping pong balls, infinity and superpowers, presents some paradoxes of infinity, and my new series of three articles, Not just a matter of time, discusses complexity and the limits of computation. See them all here. Here is a paper based on a talk I gave at the 2014 Mathematical Association of NSW conference describing this website: MANSW 2014. Here is a paper based on a talk I gave about using paradoxes in maths teaching at the 2015 Mathematical Association of NSW conference: MANSW 2015. Click here to leave feedback, report bugs, make suggestions etc. 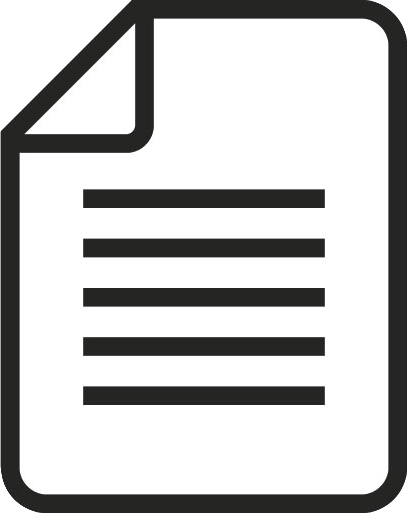 Click here to show or hide a complete index of pages and activities. Mathematics is the search for order and explanation; a creative process of revealing and understanding hitherto hidden patterns and relationships. And mathematical understanding is powerful! By highlighting connectedness, symmetry and beauty in that which is around us and that in which we engage, it can change the way we see the world. A common misconception views mathematics as dry and technical: a collection of formulas, technical terms, and arcane processes. But that is to confuse aspects of mathematical presentation and expression with the core content. At its most fundamental level, mathematics is simply a playground of ideas — pure unencumbered ideas and abstractions, and the processes are those of imagination and invention. A learner approaching mathematics with this in mind will quickly find themselves immersed in a unique and creative domain full of discovery and reward. It is my hope that the activities available here will help equip and guide students on just such a journey of mathematical learning. So what are you waiting for? It's time to explore The Mathenæum! Interactive visualisation aids understanding and conceptual development. Dynamic and exploratory activities generate engagement. Historical background adds interest and helps provide context and connection for the mathematical material. Good mathematical activities will promote group interaction. Good mathematical activities naturally lead to discussion and extension. The activities in this section are designed to promote an appreciation of numbers as products, the concepts of factorisation and prime factorisation, and to practice working with fractions. Much use is made of graphical illustrations of number value to help visualise the properties being investigated. The activities in this section are designed to help in the investigation of properties of triangles, lines, parabolas and general concepts in coordinate geometry. Graphical and algebraic representations are provided where appropriate. By supporting both free and constrained manipulation of curves and objects, families of shapes and curves can be constructed and explored. The activities in this section are designed to help build an understanding of algebra both as a natural extension of number, and as an efficient way of describing things mathematically. Here you will find activities relating to analysing randomness and strategies for games of strategy and chance, as well as those relating to statistics and the visualisation of data. Here you will find a variety of different models of arithmetic and algebra. These virtual manipulatives present a concrete visualisation for many arithmetical and algebraic tasks, and help develop understanding of the mathematics and processes underlying more formal mathematical representations. Here you will find activities that help with visualising and understanding how calculus deals with continuous functions. Some simple and useful utility applications. Step by step instructions to guide you through various mathematical constructions. Explore factorisation as visualised by the rows and columns of rectangular grids with the Factor Explorer, or use a similar visualisation to explore Equivalent Fractions. Practice mental division competitively playing Factor Champion. There is some interesting mathematical and historical information along with related activities in the pages About Primes and About Factors. Extending the geometrical interpretation of numbers is the Figurate Numbers activity, for exploring natural sequences of numbers that arise from particular geometrical arrangements of points. The Multiple Madness activity also involves factorisation, providing a fun way to practice identifying multiples. A challenging activity is the game One Hit Wonder that presents a fun way to practice converting between fractions, decimals and percentages. Make One is a card game designed to practice basic operations on fractions. Try and work out the secret functions by playing the Function Pyramid activity. Paint in coloured squares like Ellsworth Kelly using Patterns and Percentages, and analyse your artwork using fractions, decimals and percentages. A fun and creative way to play with numbers is to create different mathematical expressions from just 4 values, and this has been used in a number of games and puzzles over time. Four Numbers, Four Twos, Twenty Four, and Problem of the Year are four such puzzles. Four Twos includes raising to a power among the available operations, and as a results the largest value that can be made is really quite amazingly large. See if you can find it. Target Value is a game with a similar basic idea, where you must arrange a set of numbers and arithmetic operations to result in a particular target value. Dodgeball is a game of strategy, and the winning strategy that teaches something amazing about infinity! Use coding to reveal Number Patterns as ASCII art, explore the patterns in multiplication tables with Multiplication Patterns, or create String Art from polygons using modular arithmetic. 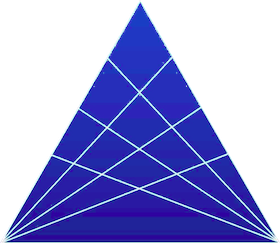 Explore triangle properties, congruency and related geometric constructions with the Triangle Explorer, and the relationship between the area of a triangle and the area of a rectangle with the same height and base with Triangle Area. Similarly, explore angle, side and symmetry properties of quadrilaterals using the Quadrilateral Explorer. Properties of line segments in the coordinate plane can be studied using Line Segments, and then extended to equations of lines with the Line Explorer, and parabolas with the Parabola Explorer. The Fibonacci Bamboozlement and Coin Rolling activities present two fun and somewhat counter-intuitive geometrical puzzles. Practice calculating sin, cos and tan from right angle triangles in the Trig Ratio Race activity. Track down the enemy submarine on a search grid playing Sub Chase. Explore Spirolaterals — shapes generated by repeating simple drawing rules. Be astounded by a paradox more than 2000 years old: do Aristotle's Wheels really show that all circles have the same circumference? Ford Circles illustrate an incredible fact about the distribution of the rational numbers — they are not actually that close to each other! The three activities Sierpiński Stamping, Fractal Art From Lines, and The Chaos Game allow you to explore some amazing aspects of fractal geometry, and how the most incredibly complex shapes can arise from simple processes. Play Conic Billiards to learn about reflections and conic sections. Ancient Arcs lets you explore some interesting shapes from antiquity made with circular arcs. Play the Intersection Detection game, and analyse it's fascinating mathematical basis with The Maths of Dobble. Move the tiles to perform algebraic operations and produce the target expression with the Algebra Squares game. Build larger and larger replicas of the basic sphinx pattern with Sphinxes. Generate and solve linear equations and inequations of increasing complexity on the Equation Solver, page. Explore number patterns and algebra using Number Spirals. Iterate a simple quadratic function and generate infinite complexity with Quadratic Chaos. A common way to illustrate and the usefulness of algebra is through pattern recognition and description. The Matchstick Patterns activity supports exploring the link from a visual pattern to a sequence of numbers and then to an algebraic description. What is the optimal arrangement for prisoners in the Prisoner game? Study the binomial distribution, or simply generate data to study in a frequency table with the Binomial Bomber. Play the Reaction Time Game and test your speed. Watch the distribution as you play and look for outliers. Why are they there? Is it fair that they be included in the results? The Exploring Data activity supports a more direct investigation of the connection between data values and summary values like the average and standard deviation. Ants on a Stick is a fun puzzle where a clever insight can instantly reduce mayhem and confusion to clarity and simplicity. Consider the probability for a card draw or dice roll, and try to win a prize playing Higher or Lower? The next two activities let you explore the statistics that underly music and language. First, use mathematics and randomness to describe and create music with the Computer Composer. Then help the Tralfamadorians decode English using a book by Charles Dickens while Generating Gibberish. Can you choose the winning die in this simple game? Crazy Dice. Applying mathematical reasoning to games and competition is becoming increasingly important. See how you go playing Notakto — a game of Noughts and Crosses without the noughts! Model and solve problems involving directed number arithmetic, binomial expansion and factorisation, completing the square and linear equations using Algebra tiles. Singapore Bar Models support the pictorial modelling of problems involving the relationship of parts to the whole, or comparison of alternatives. One important use of these models is the representation of Word Problems. Another important use is the representation of Fractions, Decimals and Percentages, and their associated arithmetic. An alternative pictorial representation of arithmetic, that also naturally encompasses the concept of base and polynomial division is given by Exploding Dots. The concept of a derivative is introduced and developed through The Learning Curve, Introducing the Derivative, and the Derivative Viewer. Integration is shown in Introducing the Integral. Roll some dice, flip some coins, generate some random numbers, choose from a list of entries, or spin for a random colour. Plot and compare functions using a variety of plot types with the Function Viewer. Follow a simple algorithm to construct a maze, or a labyrinth. Construct a Heart Curve, and other epicycloids using Clock Arithmetic. Construct a pattern with hexagonal symmetry using Seven Circles. Create and colour whirls from curves of pursuit using Hungry Bugs. Explore some maths from the 5th century BC by drawing The Spiral of Theodorus. See what interesting wiggly creatures you can create with the Wiggly Creature Constructor by cleverly combining circles.